We can assure you that we have seen it all from smartphones that have been run over by a car, to tablets that have taken a dive in a pool, we are prepared to face anything that comes our way. Every uBreakiFix technician goes through an intensive training process, and we maintain an environment of constant learning, so no device is too new, no technology too complicated. We believe in a transparent repair process and that starts with clear and upfront pricing. If you’re not sure what’s wrong with your device, we would be happy to diagnose it for free. 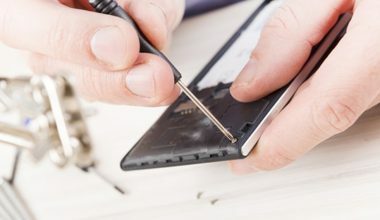 Once we determine what is needed for your repair, we will contact you with an obligation free repair quote. You can elect to continue with a repair, or not, the choice is always yours. Receive a FREE iPhone tempered glass as a special repair offer when you repair your device!